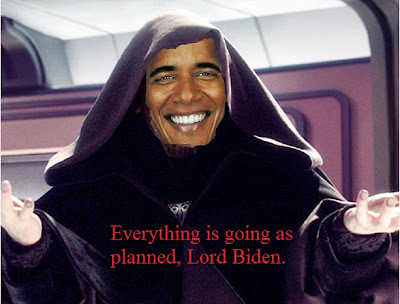 1, 2, 3: The Obama/Palpatine Connection? Home 1, 2, 3: The Obama/Palpatine Connection? WARNING: THERE BE CONSPIRACY HERE! Is President Obama setting up his government takeover exactly like Emperor Palpatine did in the Star Wars saga? Palpatine, under the guise of Darth Sidious, persuaded several planetary systems to break off from the Senate and form the Confederacy. The Obama Administration, via the webwork of associates it has wedged into the government, has been linked to the Occupy Wall Street movement that has apparently been designed to upset order and wreak havoc on the government and the people. Palpatine secretly raised up an army of clone troopers to fight this growing Separatist Movement that took on the form of the Confederacy of Independent Systems and threatened to tear apart the galaxy. A movement that he started himself. 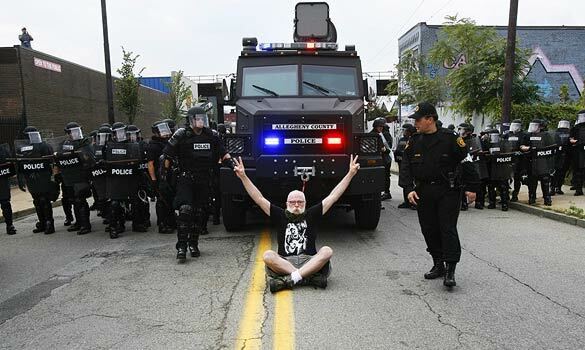 The Obama Administration is reported to be secretly raising up a mysterious State Police to fight this growing spread of occupiers, protesters, and social dissidents that are already leaving massive chaos in their wake. In the end, with Palpatine’s clone army the only answer to stopping the Confederacy, the Senate voted him as the first Emperor of the Empire, thus giving him total control of the known universe.